Everyone loves an end of the world theme and with Kaiju you get just that, with a Japanese theme of monsters destroying cities and taking over the world. Boku Slots love a good monster movie and Elk Studios have lent their brilliance to Kaiju and brought the big screen to the small screen. 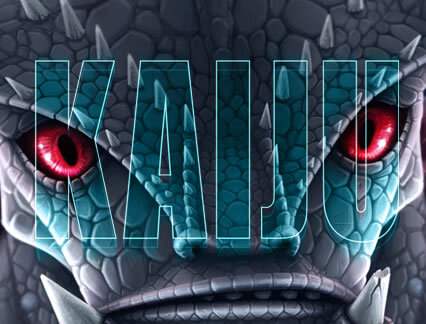 Kaiju is a 5-reel slot with 7776 ways to win in play and an RTP of 96.3%, for anyone brave enough to take on the monster. Set against a backdrop of a high-tech cityscape, you are playing to beat the Kaiju monster. There are only seven symbols in play, these are your red, green and blue crystals, red, green and blue cards and of course the scatter. Whether this has any detrimental effect on game play we will have to see, but with 7776 ways to win we don’t see how it can be a bad thing? Bet Amounts – Betting begins at 20p per spin and can be increased to a maximum of £100 per spin. However, Elk Studios has a variety of betting strategies that can also be applied whilst your reels are spinning, which can amend the bets automatically for you as you will see below. Jumper – bet amount is raised by 1 step after every win until you reach four levels above your base bet amount. This will reset after each loss is incurred returning you to the base bet amount you began with. Wild Symbol – In Kaiju there isn’t a designated wild symbol as such. Instead as the reels spin you will see that certain combinations will result in a wild landing above the reels. The wild will land on the reel that the top most symbol in the winning combination is on and will help create bigger wins. It will substitute for all other symbols except the scatter. Scatter Symbols – HA-42, the girl character you see in the introduction video is your scatter symbol. By landing three of the HA-42 symbols on reels 2, 3 and 4 you will trigger the bonus battle game. 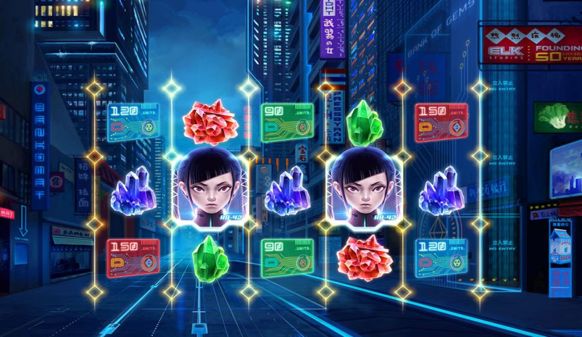 Kaiju Battle Feature – Having triggered this feature by landing three of the scatter symbols, you will be taken to your bonus spins of which you will have 7 in total to begin with. One of the three coloured Kaiju monsters will be in the background as the reels spin and this is the monster you will need to defeat. The word Kaiju will be at the top of the reels in a different lay out, depending upon the monster you are battling. As the reels spin you will receive sticky wilds, and they will in turn expand the reels in a bid to reach the letters at the top of the reels. As each reel reaches a letter, that whole reel will turn wild for one respin. Once the last letter is completed all symbols in that last reel will remain wild, until the end of the round. This feature can turn out to be very profitable once it lands. Kaiju is a fast-paced game in as much as the wins do happen often in the base game. The bonus feature however is a little harder to trigger. That being said, once you do activate the battle bonus it can go on for some time, if you manage to get those wilds on the reels and reach the kaiju letters. Elk Studios has put some thought into the game as they usually do with most of their offerings. It is a very enjoyable game, but it does lack in extras. By that we mean that as the bonus game is quite tricky to land, a few extra bonuses or randomly triggering features may have helped it go along a bit quicker.